Michelle May 14, 2013 May 14, 2013 4 Comments on New! Skeeter T-Shirt! 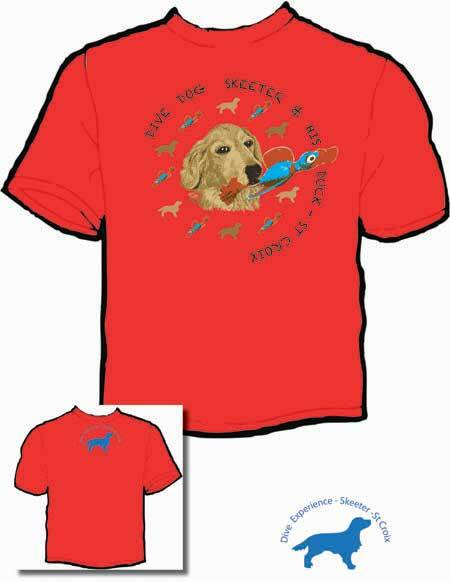 Lots of people have been asking, so we’ve come up with a design for our ‘Skeeter the Diving Dog T-Shirt’! This is the concept graphic, but we may make some changes. We’re not going to print a lot of these, so if you are a Skeeter fan, send us an email to request your t-shirt! Dove with you some years ago. Interested in short & long sleeve Dive Experience tshirts. Can you give me an idea of what’s available with your name on it & shipping to zip 46123? Thanks. Ernie, We have too many to list here. Call us at 800-235-9047 and we can discuss what types of shirts that you prefer. Shipping will depend on the quantity and weight.